Arizona-based researchers are analyzing wastewater from the sewers of U.S. cities for signs of chemicals associated with opioids. The contents of sludge and slurries could provide a more accurate overview of the opioid crisis sweeping the nation, an article in Scientific American stated. The Human Health Observatory has been scouring sewage since 2003. Currently based at the Arizona State University (ASU), it operates the biggest network of wastewater monitoring sites in the world. In the past, the laboratory has looked for harmful chemicals, nicotine, and stress hormones. 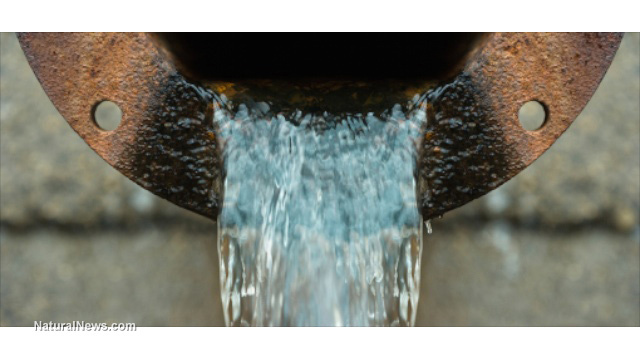 It is now looking for signs of opioid use in wastewater. Cities and municipalities send samples of their sewage to the Observatory. The laboratory performs tests that measure the total intake of opioid-based chemicals – such as heroin, fentanyl, and oxycodone – of residents in those areas. The monthly data sent by the Observatory is more accurate than the hospital data and surveys that public health officials usually rely on. It is also much faster than traditional sources, which may take years to complete and end up delivering obsolete data long after the fact. Haden’s research team takes just one or two days to analyze a sample of sewage. The information extracted from the wastewater can guide cities that are trying to control their epidemics. If the amount of opioids in the sewage goes down after a city arrests a drug ring, then the operation is probably effective. A sudden spike in the level of fentanyl after the closure of a “pill mill” might suggest that legal users are being forced to use street drugs because their source of prescription drugs got caught in the crossfire. Street drugs often contain fentanyl or carfentanyl. The former is 50 times stronger than heroin while the latter is 5,000 times stronger; carfentanyl is normally used as a tranquilizer for elephants. Carfentanyl is almost identical to fentanyl. It is also almost never prescribed, so an increase of the drug in sewage is normally attributed to its presence in street drugs. Early warning about a spike in dangerous drugs will allow city officials to inform first responders to amass sufficient amounts of antidotes to opioid poisoning. Responders will also be prepared to administer the antidote in the bigger doses required for treating fentanyl over-dosage. Sewage monitoring started in Europe in 2010. Between its success and the Observatory’s accomplishments, city governments in the U.S. are starting to take notice. Cities like Louisville, Kentucky, and Tempe, Arizona were not prepared for the opioid crisis. Local officials are scrambling for ways to respond faster and more effectively to increasing numbers of deaths due to a drug overdose. Sewage analysis can help cities determine the number of opioid antidotes, sterilized needles, and other vital supplies to be distributed in areas. It can also show the best places to set up drug take-back programs and therapy centers for drug addicts and victims of overdose. Finally, it could quickly determine if a drug education campaign is working or not. The city of Tempe recently teamed up with ASU’s Observatory. Opioid levels in wastewater will provide a real-time guide for Tempe city officials about their drug interventions. Likewise, Cary, North Carolina has tapped an MIT-affiliated company for robots that can fit inside sewage pipes. The robots will analyze the levels of drugs in the wastewater and send the data back. Keep an eye on the opioid epidemic at Opioids.news.